Welcome to Bridge St. Tire & Alignment! 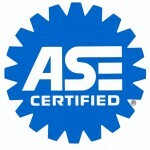 Bridge St. Tire & Alignment is a AAA Approved, ASE Certified and a NAPA Auto Care Center located in Weymouth, MA. Owner John Kingsbury is dedicated to utilizing his experience and skills to lead his staff in providing outstanding automotive repair services to Weymouth, MA. Bridge St. Tire & Alignment has been providing automotive services since 1999, and continues its commitment to excellence through outstanding workmanship and exceptional customer service. Stop in to Bridge St. Tire & Alignment today and we will be happy to accommodate any of your automotive needs.